Recently, at A World of Discoveries Daycare, a biting incident had occurred. Because many parents and guardians have expressed concern, we would like to address that situation. To start, we sincerely apologize that the incident occurred at our daycare center. We take any injury to a child in our care very seriously. While our teachers do everything they can to protect the children in their care, there are times when situations arise that catch them off guard, such as a biting incident. Our staff members take the proper precautions to help prevent biting between children from happening. However, because children in our care do not typically bite others, it can be challenging to our staff to prevent any issue from happening. That said, since the incident has occurred our staff at A World of Discoveries, many of which are enrolled in college to further their training and education, has since been re-trained on harmful situations that could arise with the children in our care, such as biting, the warning signs that children may display before biting, and how to prevent biting from children that are known to bite. Again, we do apologize for the incident that took place and any concern it has caused. 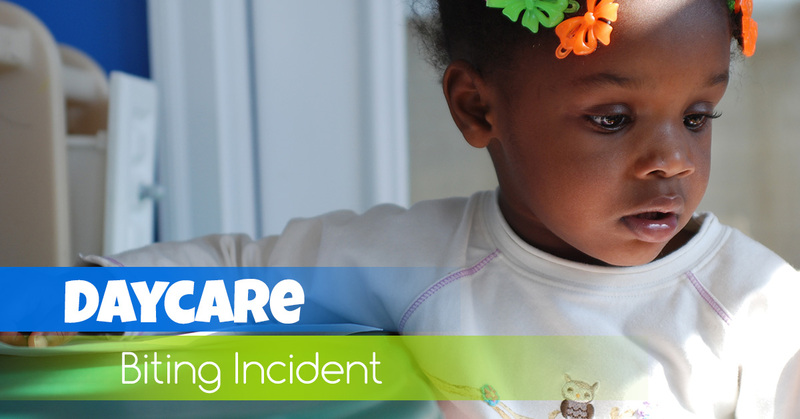 While we cannot go back and undo what has occurred, you can rest assured that our staff and daycare center is striving to move forward and prevent any situations like this from occurring again. If you have any questions, please do not hesitate to contact us. We appreciate your support of A World of Discoveries Daycare.